P.A.T.H. FINDERS Intl. was begun in 1994 by Marie and I. 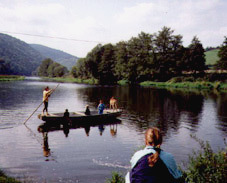 Myself, a native of Passaic, New Jersey, I first visited what was then Czechoslovakia in 1992. I went to witness first hand the aftermath of the so called "Velvet Revolution". It took me two years to finally make this trip, after I first heard President Vaclav Havel address the US Congress in 1990. As a student at The Evergreen State College, in Olympia, WA, I met Randy Stilson (TESC Archivist). With his encouragement I completed my Bachelor's Degree in 1990. After graduation I found work assisting persons with disabilities. Accompanied by my employer, Jim Sibbett, an avid genealogist, I traveled to Salt Lake City, where we visited the Family History Library and found records of my family roots in Toke Terebes, Hungary (now Trebišov in Slovakia). Thus, I finally had a clear reason to make this trip which I had postponed for two years. I met Marie during my first day in Prague in 1992. She was born and raised here. She was among three people who greeted me at the airport that day. 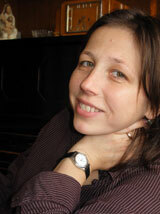 At the time she was a student at Charles' University, where she studied Romanian and Italian languages. 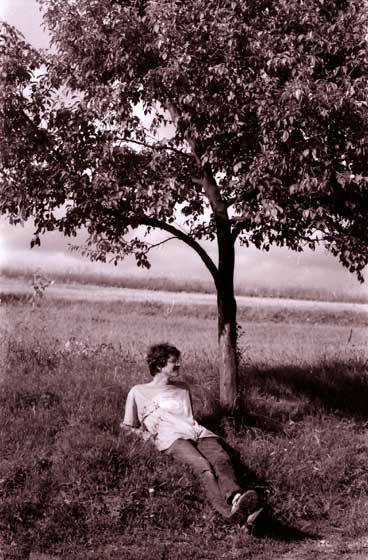 Prior to this she had worked as a photographer and writer for a small daily newspaper, Venkov. During the revolution she was still a student at the Middle School for Agriculture Sciences in Rakovnik. While our initial interest in each other was mostly a product of the fact that we could communicate, since there were few other things we shared in common. Despite her school work, and my regular trips from Prague, in search of records about my family origins, we managed to find time to spend together. Although neither of us knew what the future held in store, we married in 1993. Afterwards, we spent the first eight months living in the US, but when it came time to raise a family, we returned to the Czech Republic to settle down in Prague. It was not clear at first that genealogical research would provide for the needs of a growing family. After a fair amount of trial and error, though, we finally became familiar with many different records, and where to look for answers to our client’s questions. It was a Family Chronicle made by a friend, Jan Pařez, that became the seed of our shared vision. Eighteen years later, this idea of a finished product is still the crux of our cooperation. Beyond providing timely and accurate archival research, Marie and I adopted the following goal: to assist individuals and families to safely visit places personally significant to them, and wherever possible to help facilitate family reunions and independent travel within the Czech Republic, and the surrounding countries. Local guides and interpreters are used wherever possible, and selected based on their personal relation and language skills, as well as their professionalism. 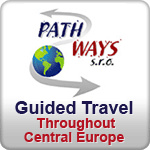 We have provided these travel services, along with a variety of non genealogy related tours, for the past 12 years as PATHWAYS s.ro.. Although there have been a number of setbacks along the way, and every season presents us with various new challenges, we are happy to have experienced a great sense of purpose and accomplishment. As Eastern Europe has emerged into Central Europe, we no longer have to suffer the humiliation of stopping at every boarder. While some of this new image has to do with entrepreneurism, combined with local and regional development. The drift is even more evident from the positive impressions of those who we help venture away from conventional tourist destinations. Though relatively few in number, those who visit their places of origin play a vital role by sharing the rewards of their explorations. By going places overlook by others, and making lasting relationships, these travelers help to dispel stereotypes and break down the formidable barriers of language and culture.